Take a journey into the consciousness of it’s creator eric “eroctech” toledo the mastermind behind ‪The Black Penguins‬. Each song is linked to a time, place, or emotion in his life. 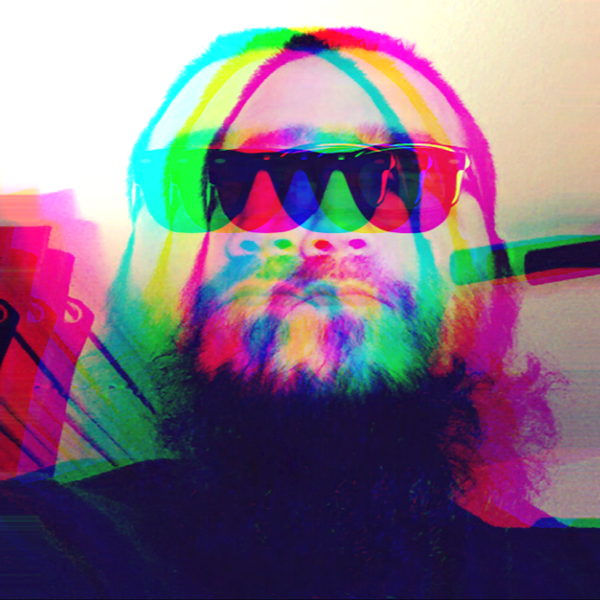 MY THIRD EYE is a psychedelic, experimental electronic album with some guitars, laced with flash backs from ‪The Dude‬. *Lots of goodies included for those who download the whole album! Out of all the shadowy outfits prowling in the fast flickering eye of the electronic storm and psychedelic lo-fi manifesting across CA, some are as obscure and as overlooked as [ The Black Penguins ]. The confounding maker Eric Toledo, has released several titles to essentially few basic recognition or critical acclaim in the last half decade. A sad event so to say, for “MY THIRD EYE” the most recent in a chain of release, is so solid and so different in comparison to [ The Black Penguins ] previous titles that it’s almost impossible to believe they all emerged from the mind of one shrouded outfit. But make no mistake as every album since the first, “Mark it Zero” when [ The Black Penguins ] had a drummer & bass player, Eric’s music were built mainly with the use of electronic beats and keys while flirting around various elements to create electronic pieces. And while majority of Eric’s albums are shape around electronic output [ The Black Penguins ] also swift outside its comfort zone integrating few guitar based songs with electronic drums. The album “Moods” has no guitars at all while all the “Mixtape” albums are heavy on the electronic side. 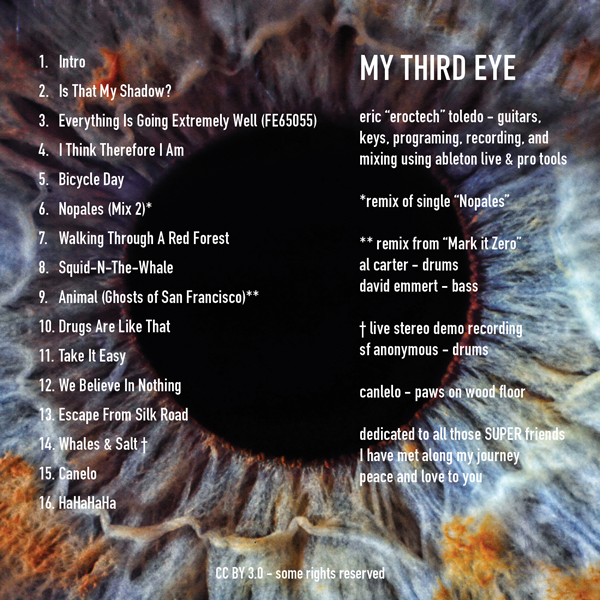 “MY THIRD EYE” on the other end is the culmination of [ The Black Penguins ] electronic work. It’s probably one of the most cohesive results to date.